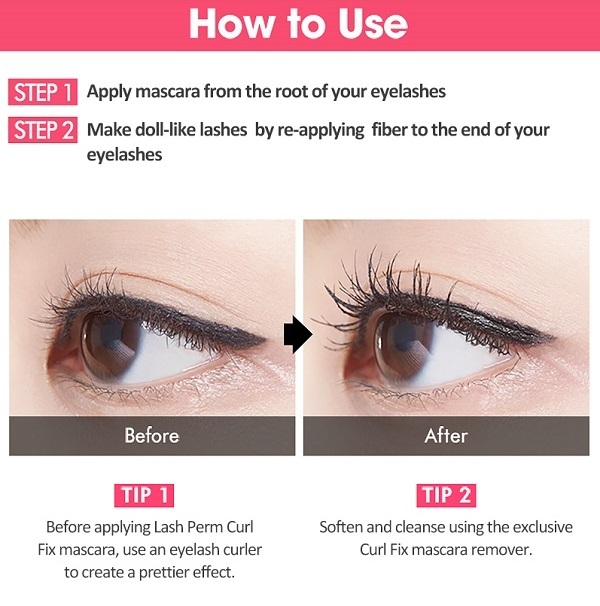 I realized the purchase initially because of the brush that is thin and not too big but I was surprised by the efficiency, it really lengthens the eyelashes and leaves them curved all day! I would definitely buy it again! Recommend!! So far this mascara works better for me than any other that I've bought. Believe me, I must have 10 different brands in the drawer. This mascara does everything I want it to do---curl, separate, no clumps, last all day and removes easily. Great product!! I purchased this mascara on a whim, and absolutely love it. I have pretty stick straight eyelashes and even using an eyelash curler, every other mascara I've tried it weighs my eyelashes down, gets super clumpy, and doesn't stay curled. I curled my eyelashes before applying this product and then applied a first coat and right away I could tell that this product was awesome. My eyelashes stayed curled after the first application, I applied a second and they still stayed. The fibers within this mascara really does do wonders and I will be recommending this to my friends and family. LOVE LOVE the way my eyelashes are now with this product and it makes getting ready so much easier now that I don't have to try and re-curl my lashes after mascara application. HIGHLY RECOMMEND.